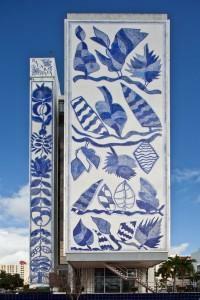 Miami Mix: How Brazil Became A Part of Miami | Miami Center for Architecture & Design, Inc. This multi-media exhibit is curated by Adriana Riquest Sabino, President of Centro Cultural Brasil-USA da Florida (CCBU). Focusing on Brazilian cultural contributions throughout the history of the city this exhibit highlights how landscape and urban art features became iconic parts of Miami, and tells the story of how Brazilian elements contributed to our city’s divers and culturally vibrant character.